A new record has been set in the junior girls long jump event today. 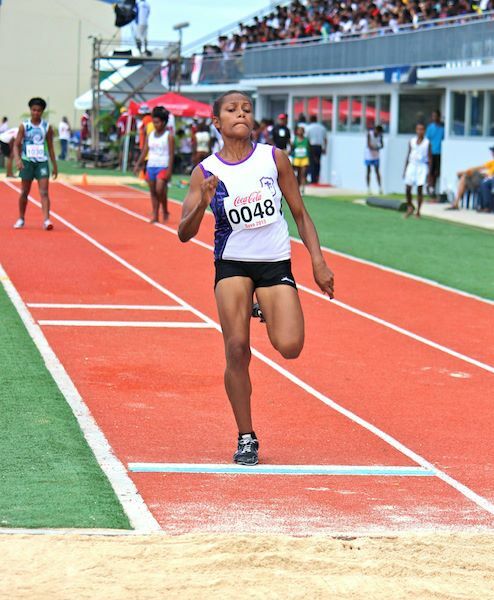 Nadi College’s Keasi Gal got her school their first gold medal. She jumped a distance of 4.80m, smashing the oldest record of 5.30m set in 1981 by Loata Turagavuli of Assemblies of God. Alitia Wailevu of Levuka Public School got silver for a distance of 4.72m. Bronze medal went to Kamil College jumper Francis Kurivitu who registered a jump of 4.70m.